CrossCountry Class 170 Turbostar no. 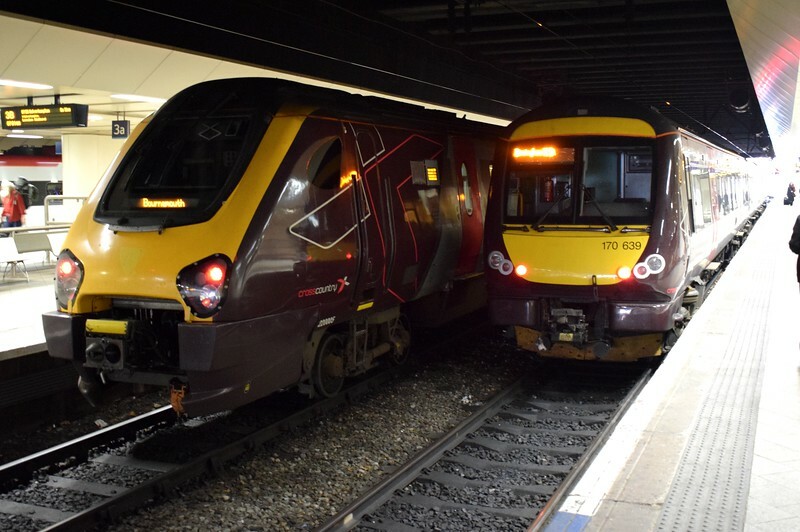 170639 at Birmingham New Street with Class 220 Voyager no. 220005.